Guadalmina, San Pedro de Alcantara. All you need to know. Guadalmina is an exclusive residential suburb bordering both the beach and the Real Club de Golf Guadalmina just outside the charming and typicaly Spanish coastal town of San Pedro, some 5 minutes drive west of Puerto Banus. Guadalmina is divided into two separate areas – Guadalmina Baja, which is located to the south of the main N-340 coast road bordering the beach, and Guadalmina Alta which is just to the north. Both Baja and Alta are amongst some of the longest established, most consolidated areas of the Costa del Sol. Traditionally, Guadalmina Baja has always been the most desirable of the two areas and is home to some of the most impressive private villas to be found anywhere in Marbella. Guadalmina Alta is also one of the most prestigious addresses in the greater Marbella area. Part of the attraction of both Baja and Alta amongst discerning buyers is their location close to the shops, supermarkets, bars, restaurants, private and state schools, sports facilities, amenities and services of both San Pedro and the commercial centre of Guadalmina. Then of course, there’s the beach. Spanning the entire width of the southern-most border of Guadalmina Baja, it’s actually possible to walk all the way along the beach to Puerto Banus in about an hour, and indeed on from there all the way into Marbella. And thanks to the recently opened N-340 motorway tunnel and surrounding new road layout at San Pedro, getting to both the Baja and Alta areas by car from all directions could not be easier. Once in the suburb, you can’t help but be impressed by its wide, tree-lined avenues which suggest a more peaceful, calmer way of life than perhaps other upmarket areas of Marbella. As with all the most sought-after addresses on the coast, there is not a huge volume of property on the market at any given time and those properties that do come on the market range from large private villas to townhouses and golf apartments with views across the golf course. Although properties here tend to come at a premium, thanks to the recent economic climate and slow down in the Spanish real estate market, there are now some exceptional bargains to be had. 990.000 € - 5 Bedrooms, 4 Bathrooms. 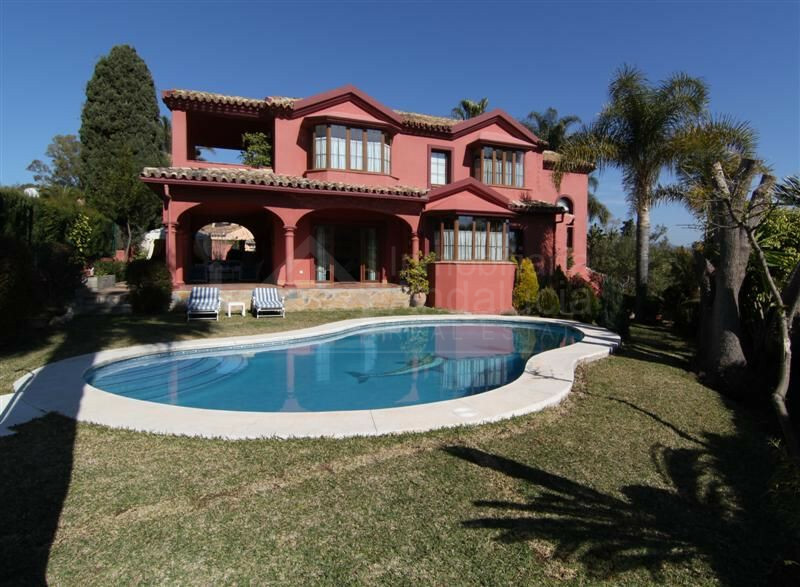 895.000 € - 4 Bedrooms, 4 Bathrooms.